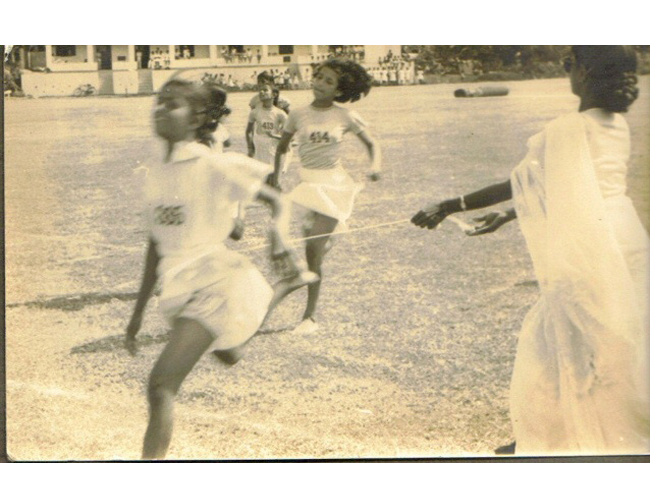 My mother, running for her school, Holy Family Convent, Kurunegala, as a girl. 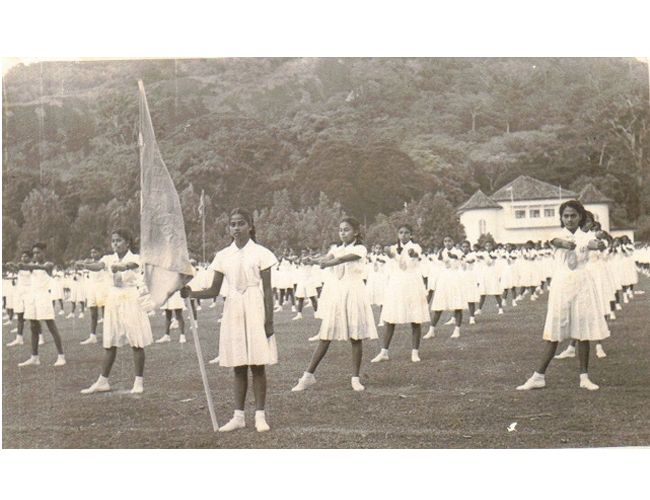 My mother, holding the flag, as captain of athletics at her alma mater, Holy Family Convent, Kurunegala. 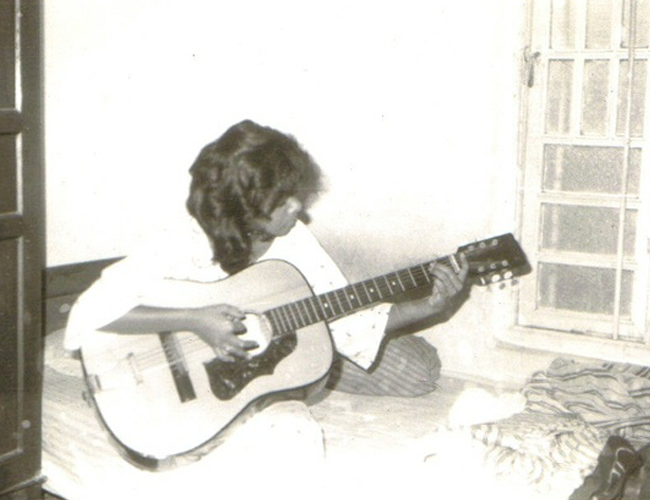 My mother, at the age of 19. The photograph that sits behind my desk. 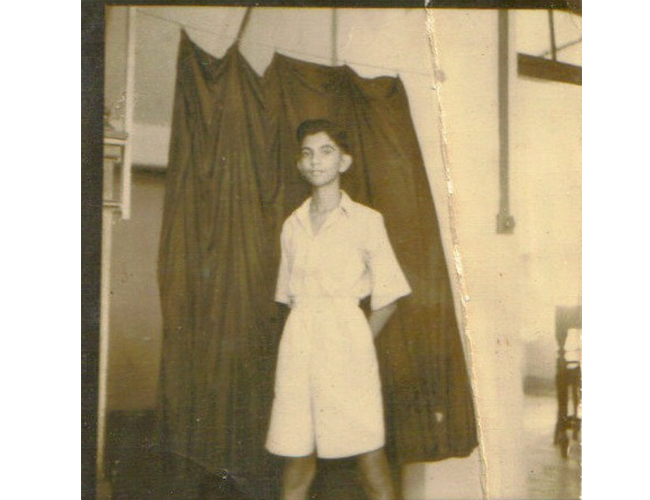 My father, at about 16. 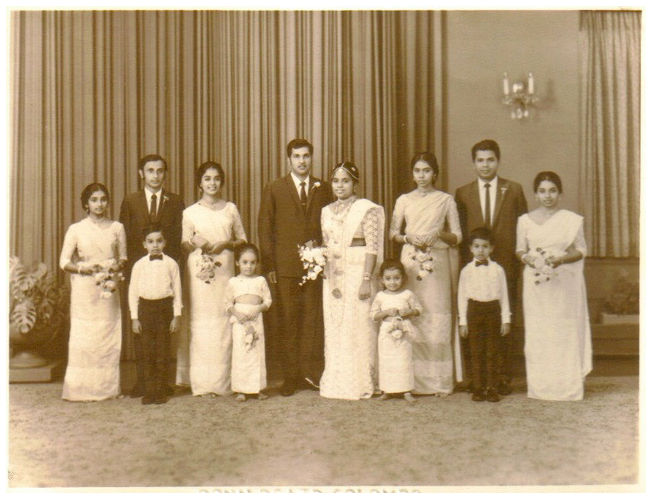 My maternal grandmother, 5th from the L second row, standing. 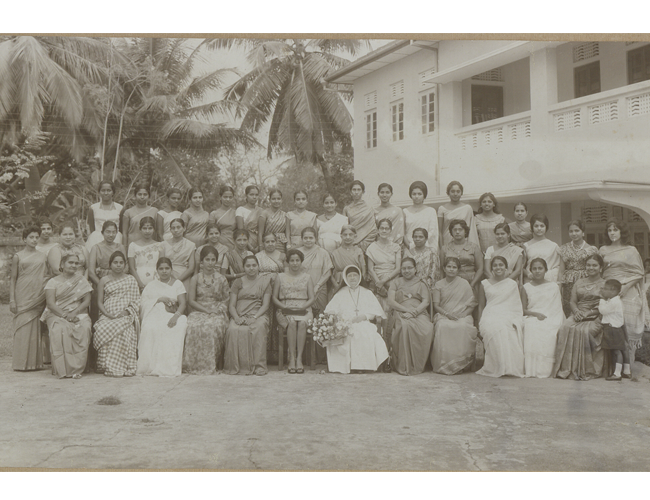 She is at a reunion at her convent, Holy Family, Kurunegala, which my mother also attended. 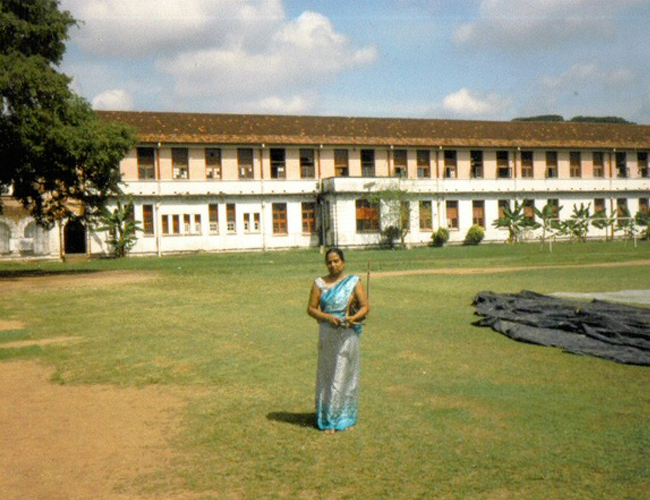 I attended the same school, in Colombo. 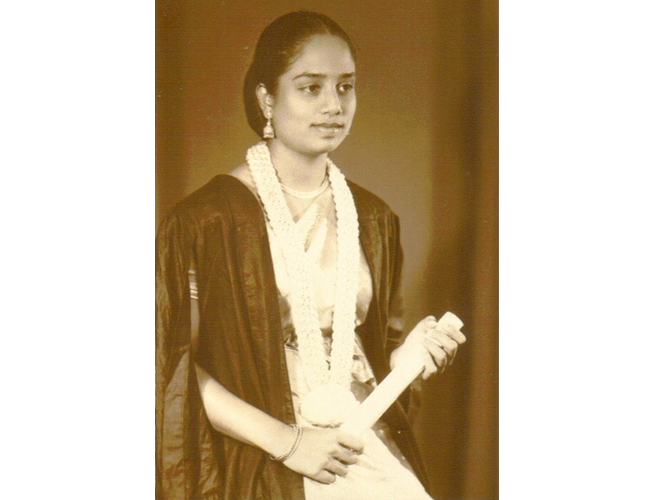 My mother at graduation from the University of Peradeniya, where she studied English Literature. 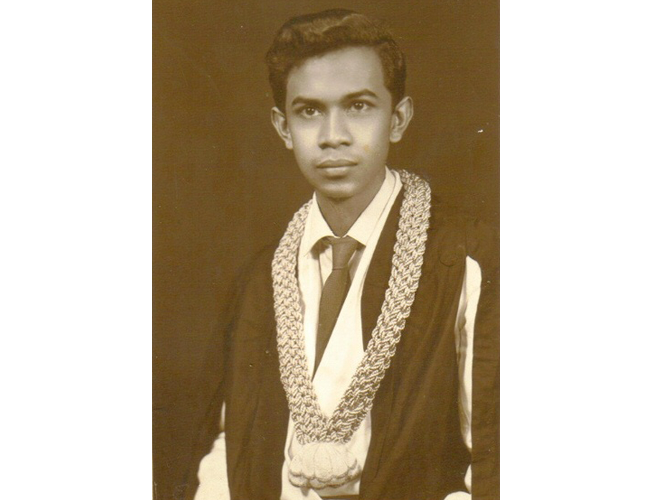 My father at graduation from the University of Peradeniya, where he studied English Literature. 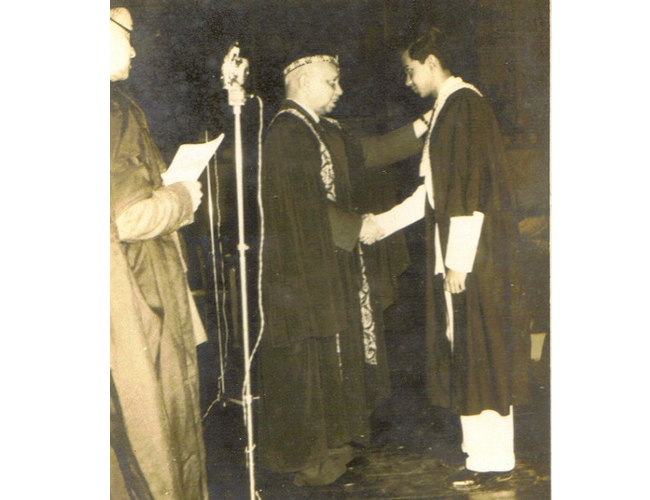 My father at graduation from university. 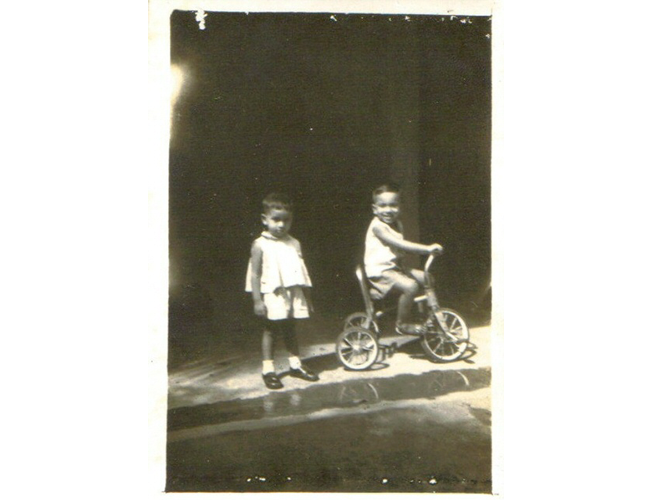 My mother with my oldest brother. This was one of her favorite pictures. 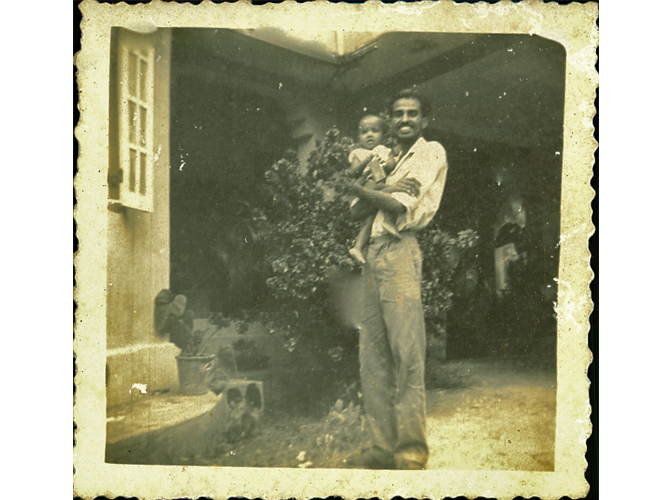 My maternal uncle holding me as a baby. 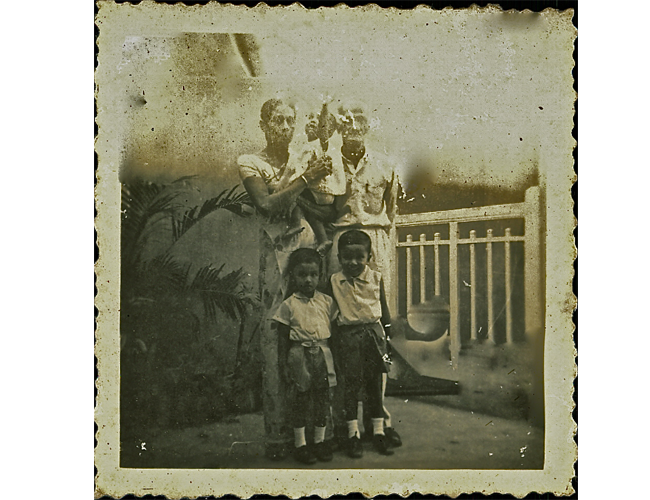 This was the uncle who inspired the short story, ‘First Son,’ which appears in World Literature Today. My brothers as page-boys at a wedding. I was not well-behaved enough - yet - to join them, apparently. 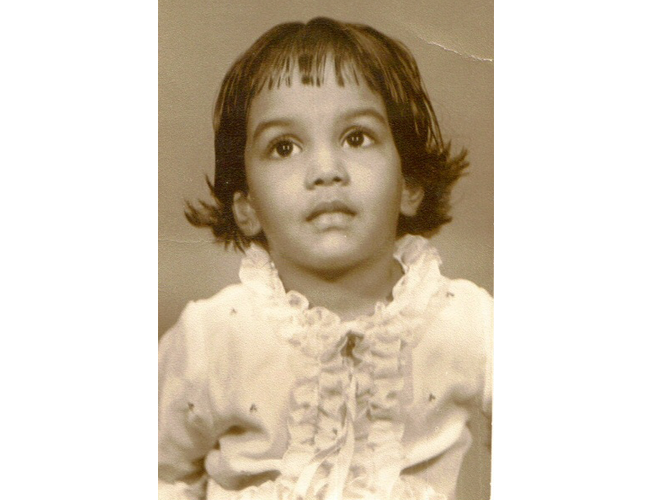 Me, age 5 or thereabouts. 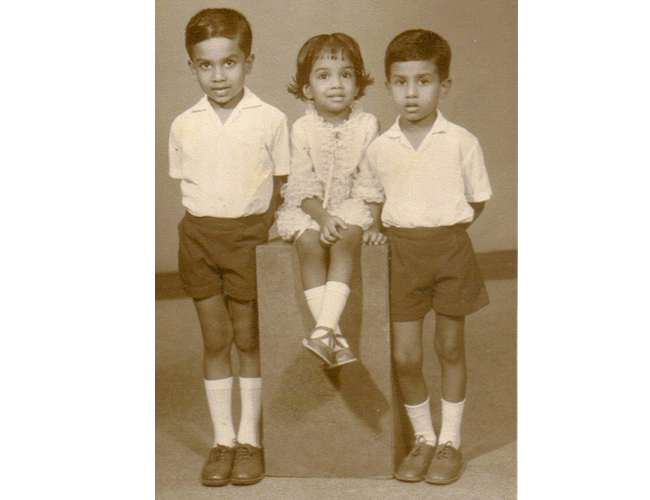 Me, age 5 or thereabouts with my brothers - after a wedding where we were flower girl and page boys respectively (we did a lot of this as kids). My brothers and I - after a wedding. 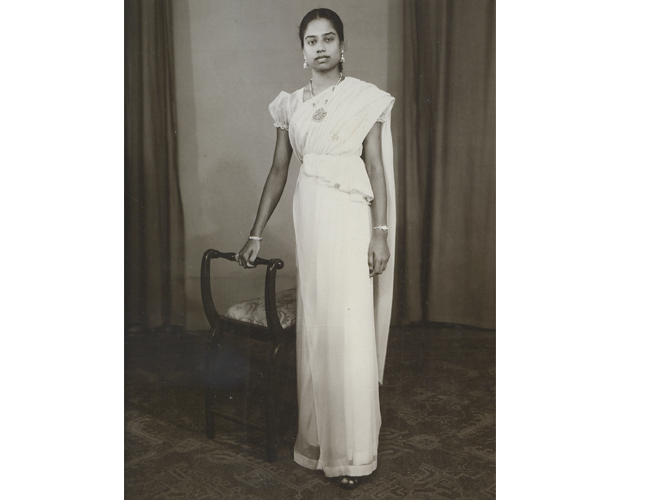 The photograph of me which sits beside the photograph of my mother, behind my desk. 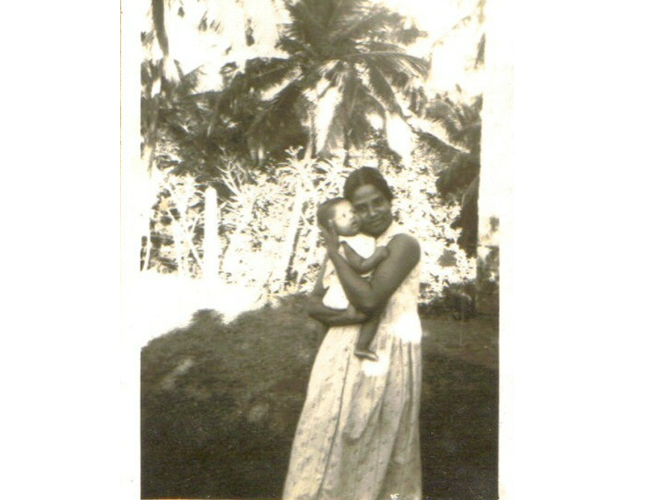 It reminds me that I was and was always, her child, not her guardian, a role I sometimes took on. 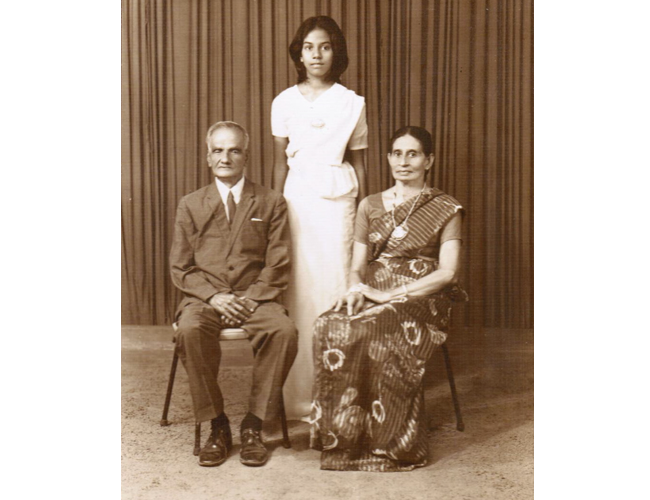 My maternal grandparents and I at the age of 15. I’m wearing my first “own” sari, and as you can see, the blouse made for me in a hurry doesn’t quite fit; the left sleeve is longer than the right. This is my favorite photograph of myself with my brothers. We are standing before the Aukana Buddha Statue. I had this photograph propped up before me as I wrote On Sal Mal Lane. 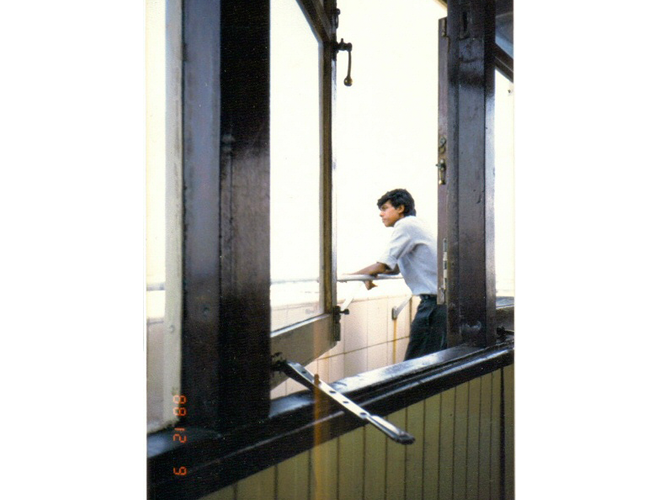 It inspired me, somehow, and I think some of the texture of that moment is in the book. 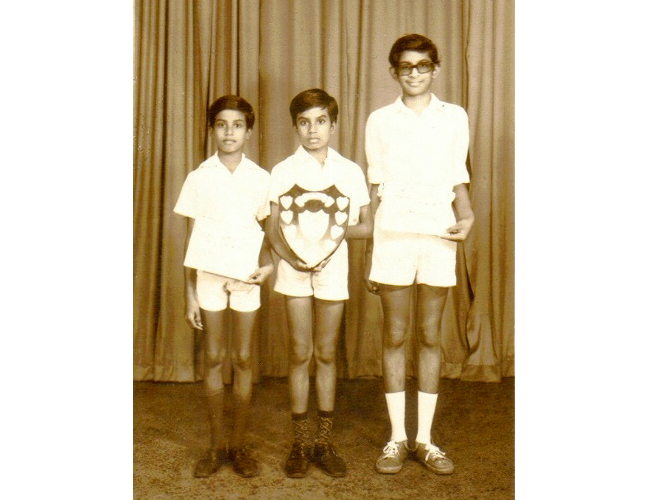 My older brothers (left and middle), after winning a chess tournament. 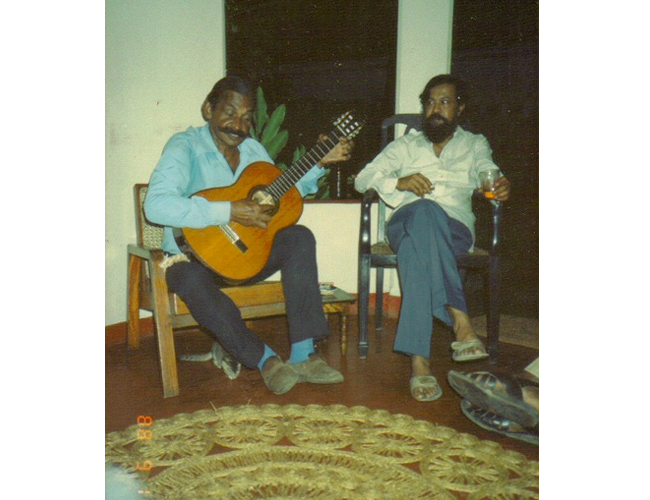 Their friend, Pradeep Jeganathan, is on the right. 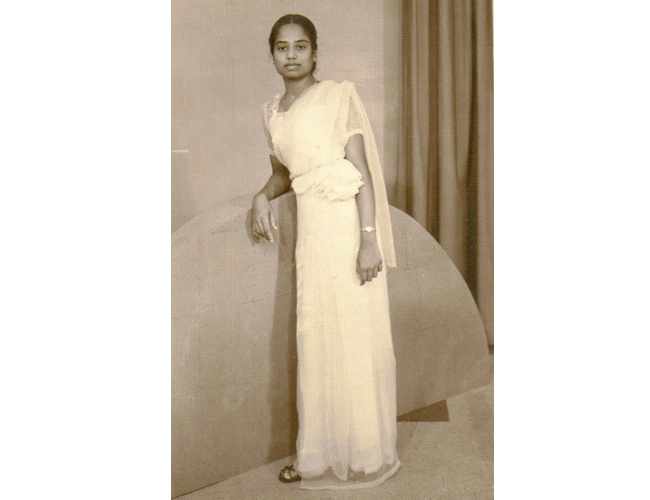 Pradeep’s mother, Lakshmi Jeganathan (who was also our teacher, and a good friend of my mothers), inspired the note that was passed along through Mr. Herath to his wife after the riots, in On Sal Mal Lane. 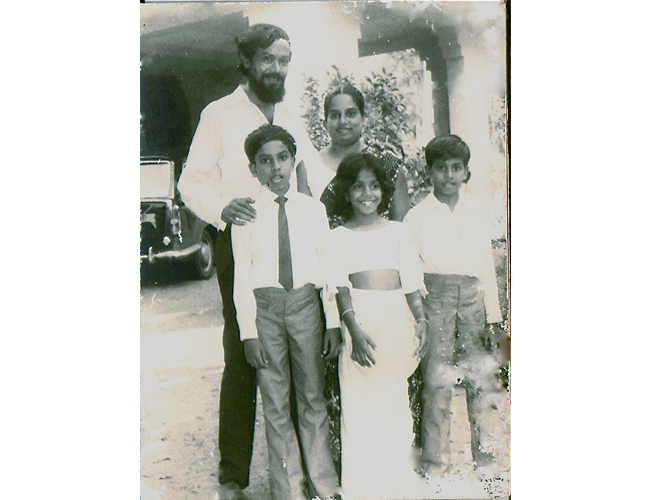 My family, outside my maternal grandmother’s house, after a home-coming for one of my uncles. 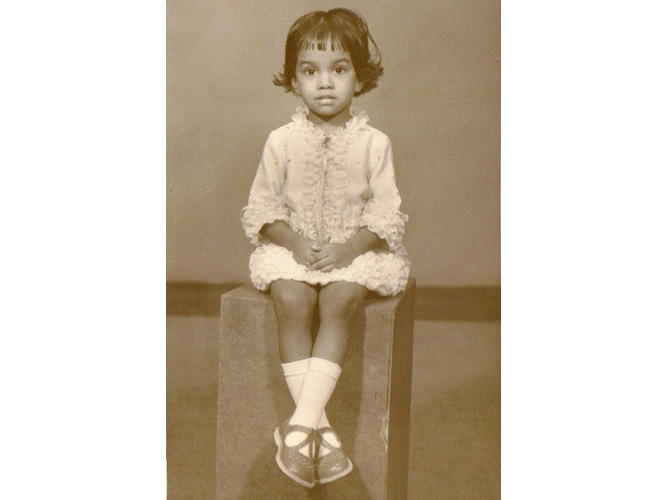 I was the only one of us who hadn’t aged-out of the page-boy/flower-girl scene. 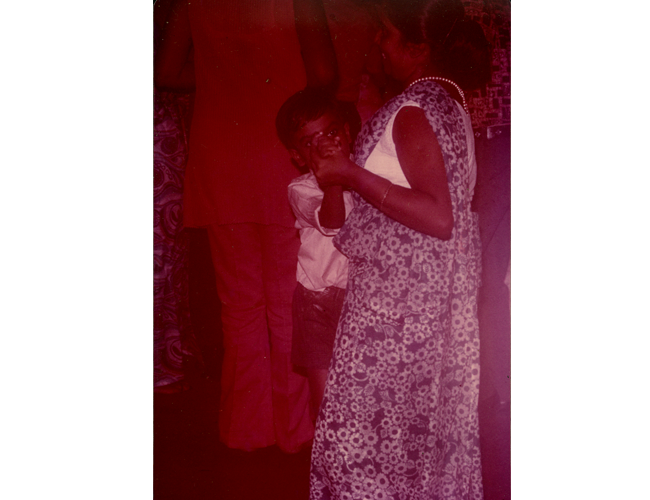 Here I am, crying, because my father wants to take a photograph of me. 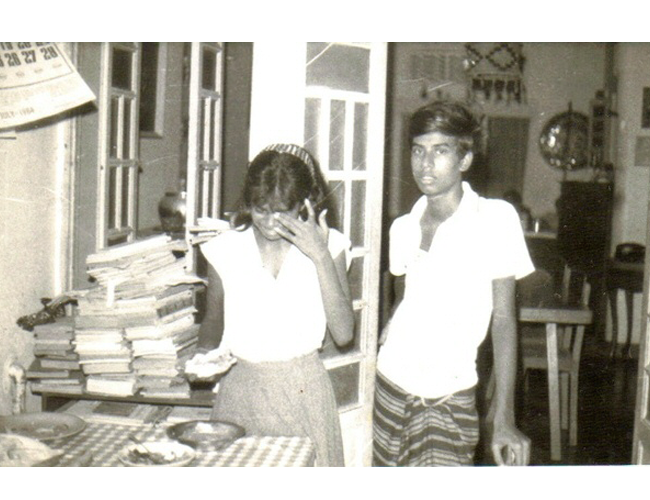 That’s my older brother, Malinda, glaring at my father who points out now - and I do agree - that these are the ways in which we create moments that find themselves into stories. 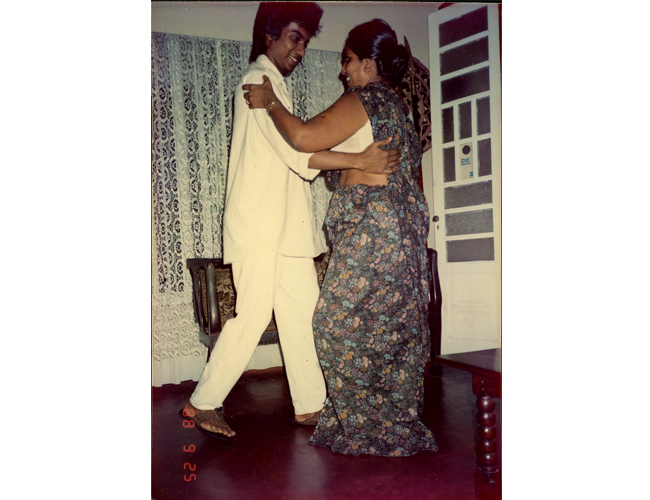 One of my parents’ best friends, Brigadier Eustace Fonseka, a pillar of the theater community and British-graduated soldier who loved to perform. Here he is singing ‘With a Little Bit of Luck’ from ‘My Fair Lady,’ (in which he had recently played Eliza Doolittle’s father), while my father looks on. 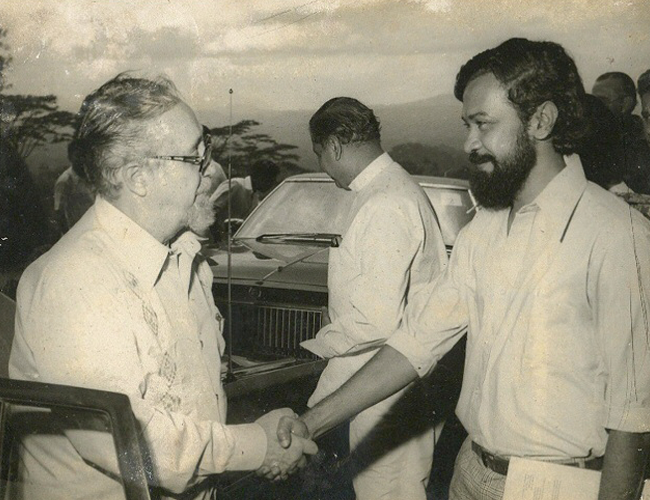 My father meeting Fidel Castro’s #2 in Sri Lanka during an official visit. 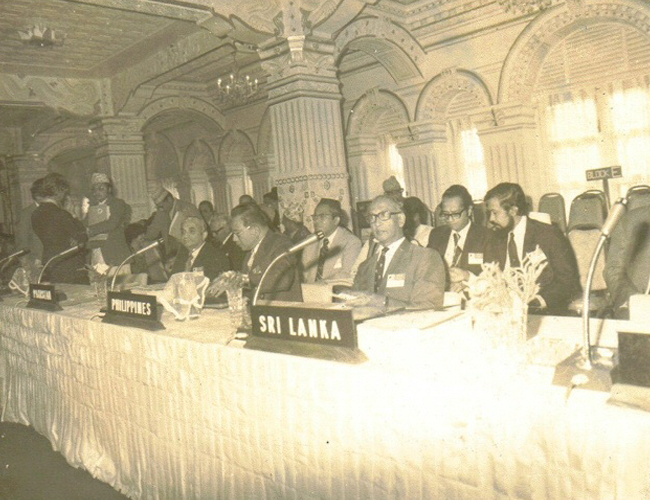 My father, representing Sri Lanka at a diplomatic gathering. 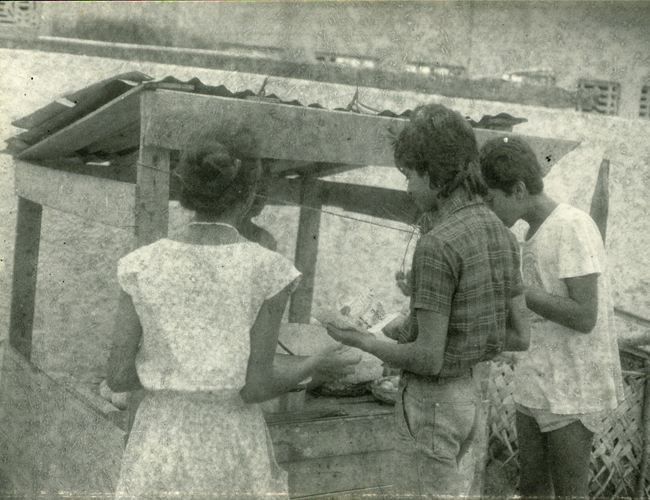 Buying pickled olives from a roadside stand on the way to a rugby game. I’m on the far left, my oldest brother in the middle, my favorite cousin on the far right. 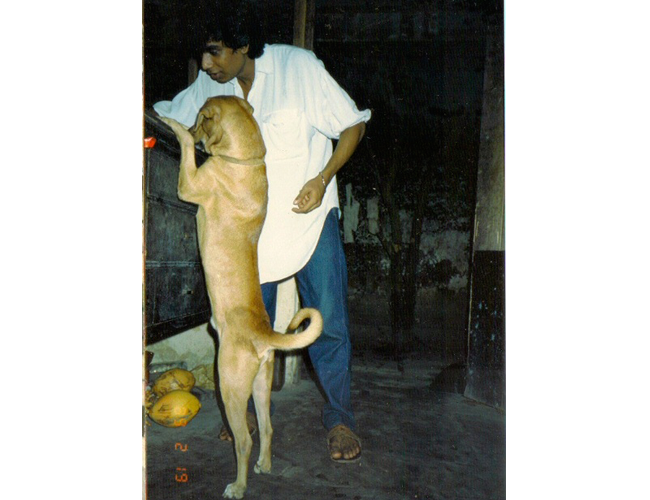 My oldest brother with Ringo, our first dog. 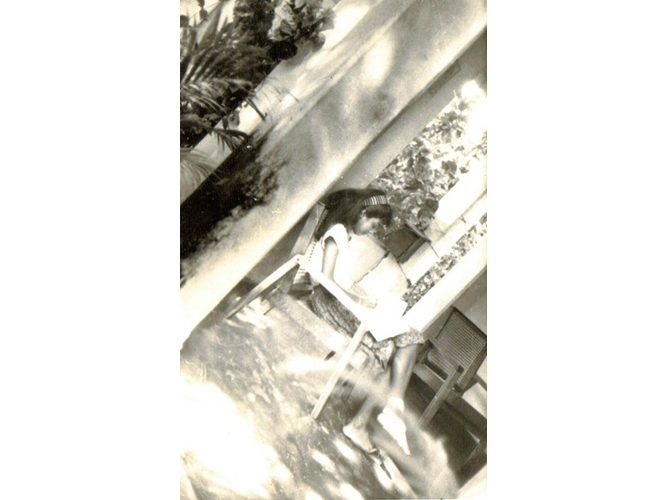 Me, age 16, in the front verendah of our home. My brother, Malinda, far left in a captain’s hat (mine! ), setting off for a scout-troop trip. 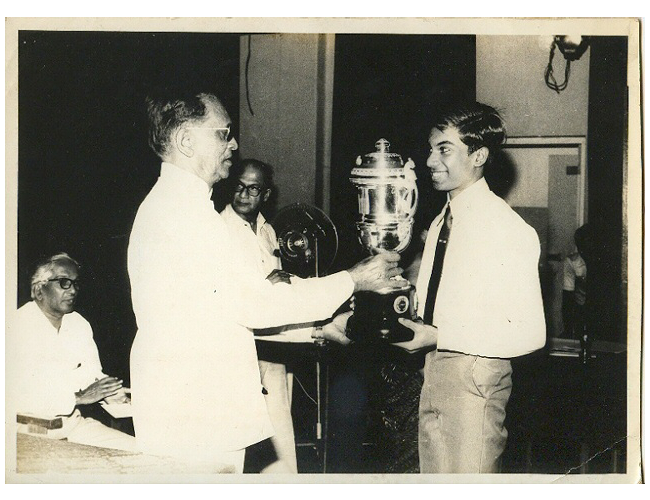 My oldest brother, Arjuna, wins the Light of Asia trophy for recitation from Edwin Arnold, in 1986. It was a year of wins for our family in performance, theater, cricket. My mother outside the school, Royal College, where she taught English Literature and Greek & Roman Literature and history for most of her life. 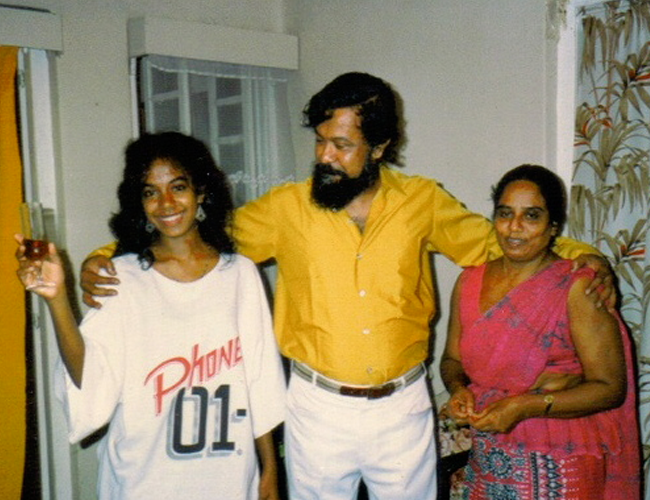 My parents with Ranji ‘Chippi’ Ranjithan, one of my mother’s students who came to live with us after the riots of 1983, and his wife, Imara. Chippi became a brother to us all. 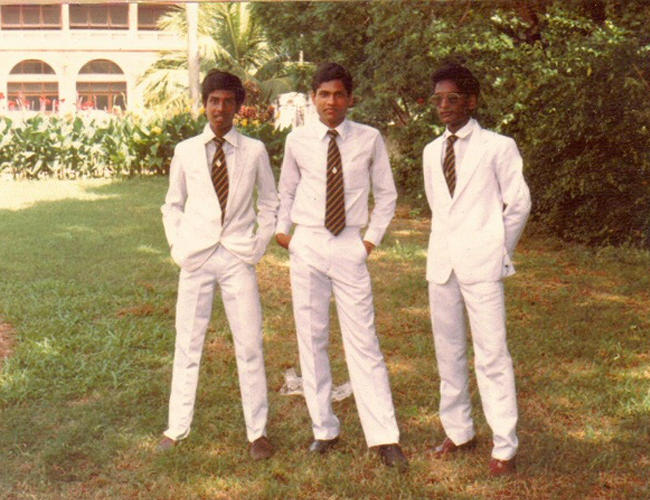 My brother, Malinda, far left, a prefect at Royal College, taking a photograph with friends away from the group shot. 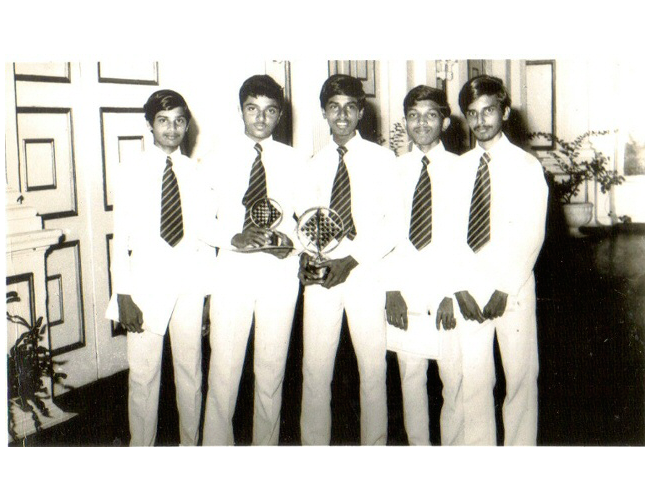 My older brother, Malinda (center), holding the trophy won for chess for Royal College. 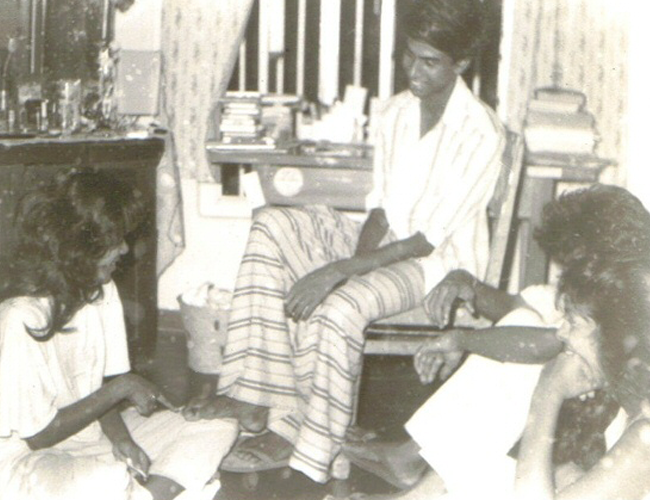 He went on to captain the national team and manages the team as a volunteer. 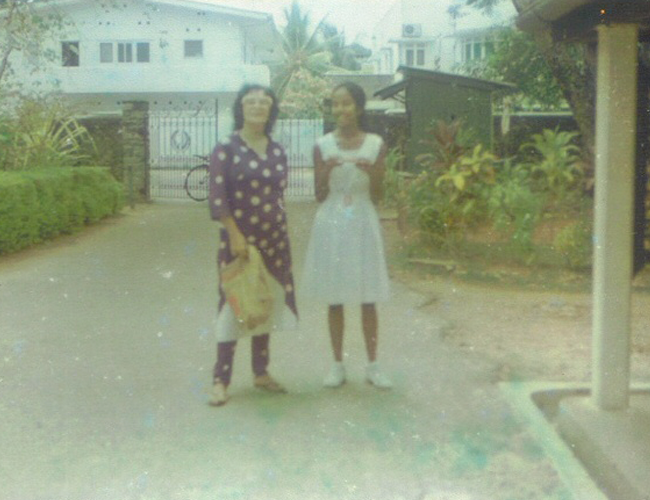 With Jean Pinto, my English Literature teacher at Ladies’ College. A favorite of mine, as I was of hers, and someone I credit with having taught me how to write better. 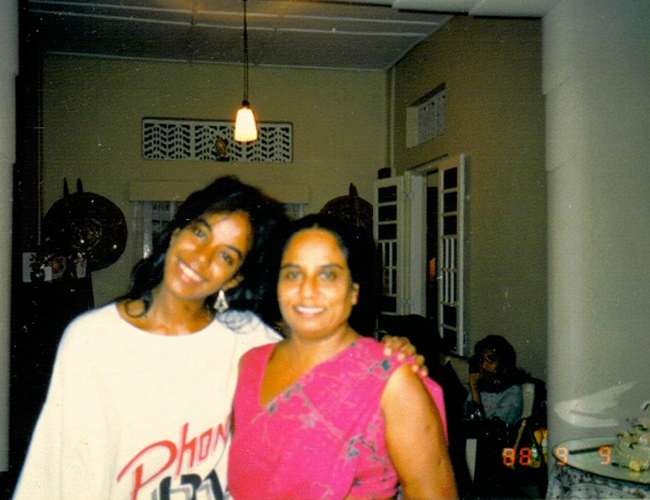 With my mother on my 21st birthday. 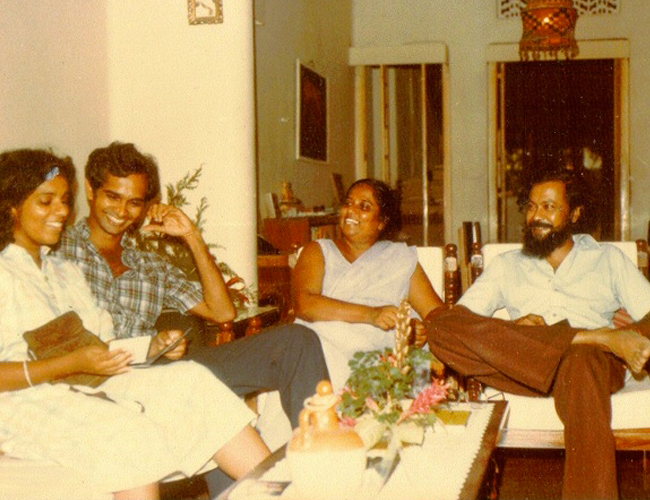 My brothers (Arjuna, far right, Malinda, next to him), and their friends. 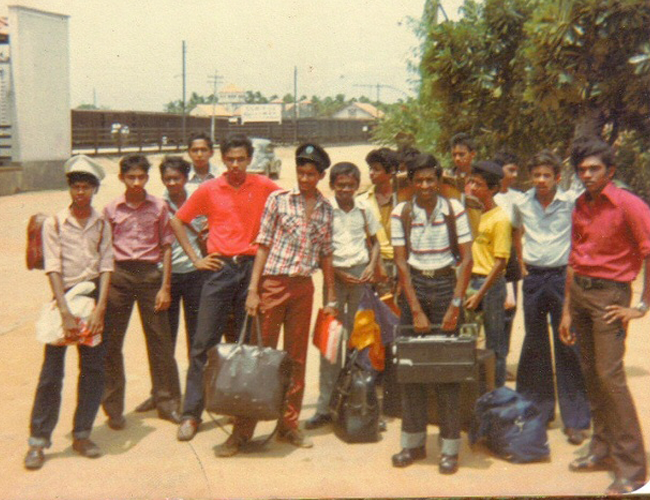 These were all students at Perandeniya University who came to live in our house during the late 1980s, out of fear for their lives. 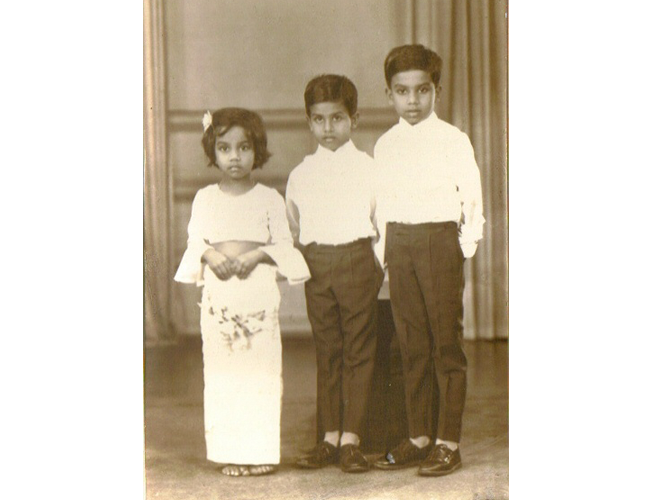 It was a time of death-threats and silence and great fear in our house, sheltering these boys. 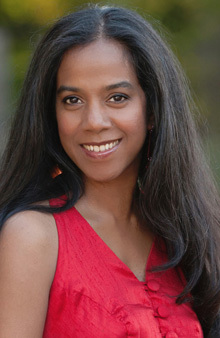 But it was also a time of delight for me, with a sudden multiplication of brothers. 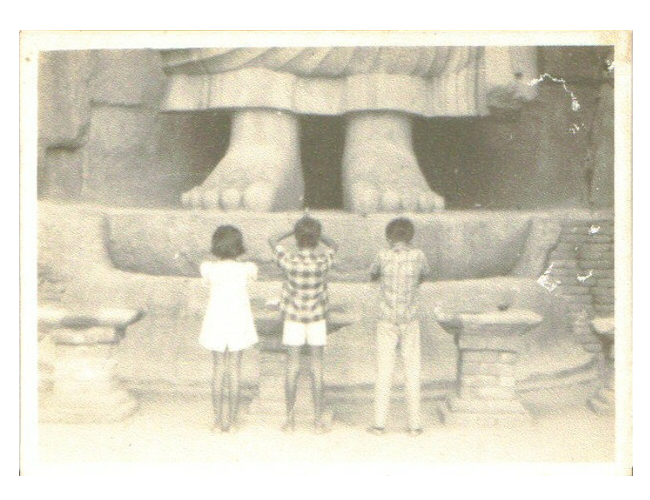 In the center, my first serious boyfriend, an affair that lasted seven years. 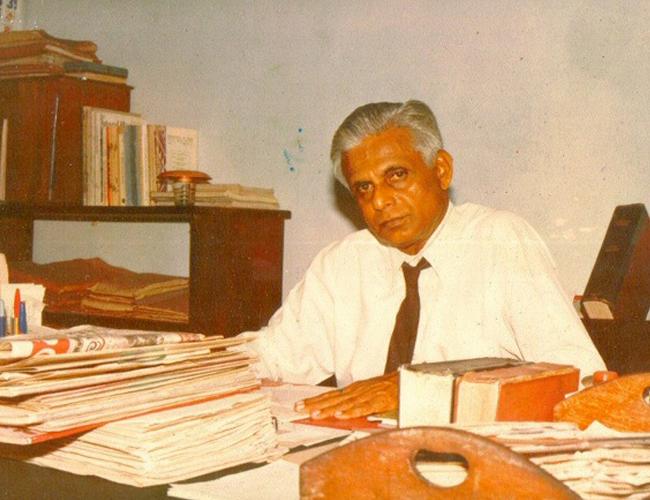 Deputy Principal at Royal College, the late Mr. Christie Gunasekara on whom is modeled the vice-principal referred to in On Sal Mal Lane. 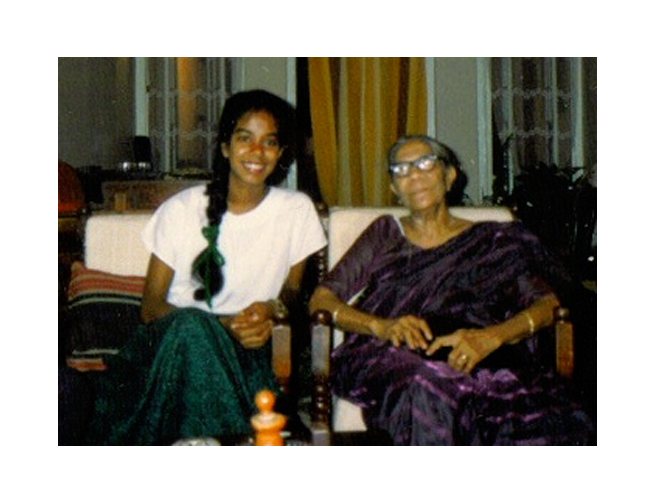 With my paternal grandmother on my 21st birthday - this is in our house, during the celebration for family. With my parents on my 21st birthday, pleased to be drinking win. 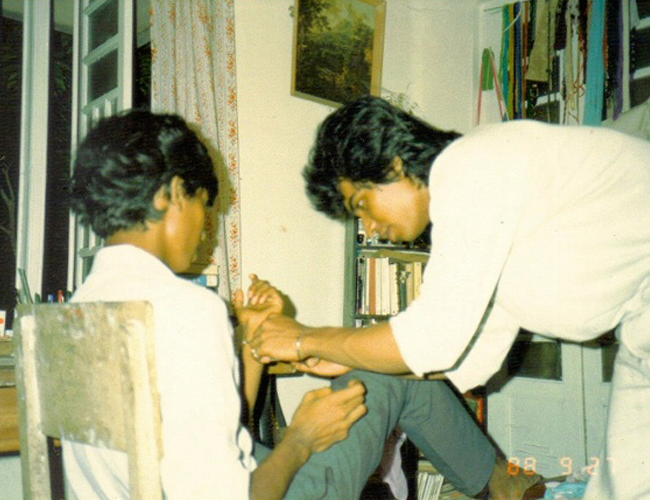 My oldest brother, Arjuna, ties a friendship band on my other brother, Malinda. This is part of my bedroom as a child. The haircut, encouraged by my oldest brother (inspired in turn by Farah Fawcett), was a bit of a disaster. In my bedroom with my brothers and, in the foreground, slightly, my best friend. My brother, Malinda, contemplates his impending departure for the United States to attend Harvard University. 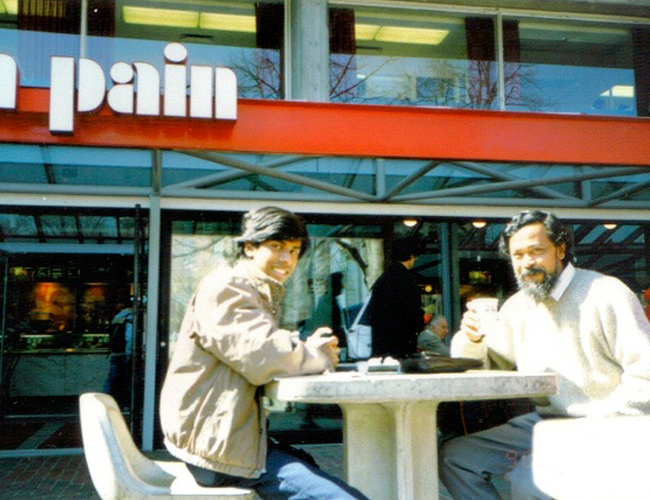 My father and brother at Harvard Square, enjoying coffee from Au Bon Pain after playing chess in the open-air courtyards. 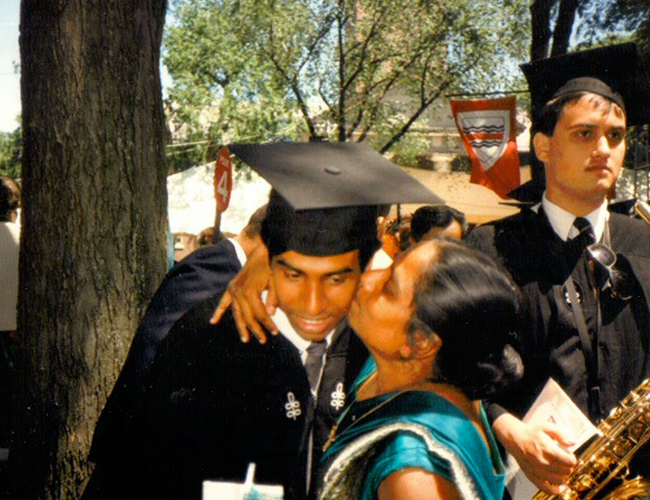 My brother, Malinda, with my mother, graduating from Harvard in 1991.